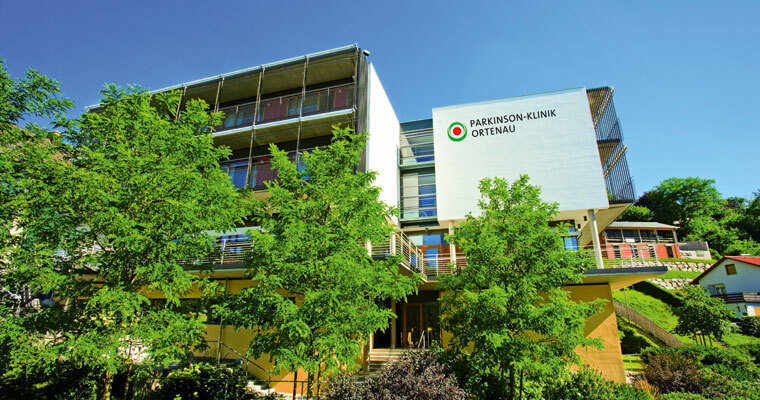 The Parkinson’s Disease Clinic Ortenau looks back on more than 50 years of eventful history, in which patients and people looking for relaxation have always been the main focus. Since 1911, the former villa of the industrialist Hans Freiherr von Verschuer has served as a “Recreation home for convalescents and people seeking quiet and relaxation”. In 1913, the Reichsversicherungsanstalt für Angestellte (German Reich insurance institution for salaried employees) in Berlin (today: BfA) sent first patients to Wolfach. From 1914 to 1915 the premises were used by the Red Cross as a military hospital. After the war the recreation home continued to be used by the German Reich insurance institution; until 1945 only female members of the German Reich insurance institution were admitted. In 1951, after the French occupation, the building was returned to the owner at the time. 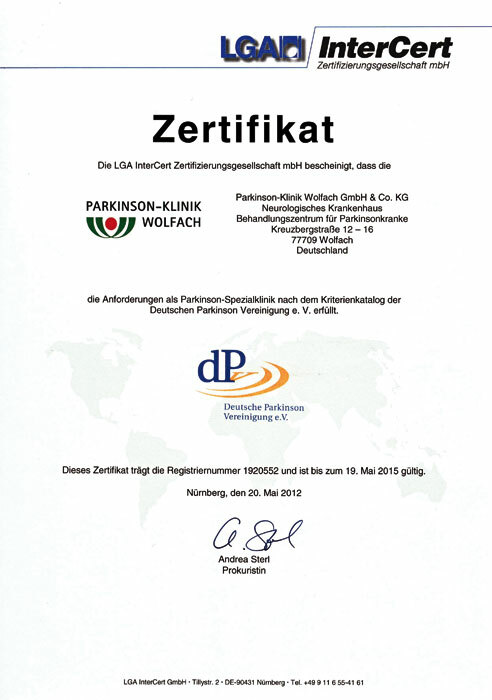 One year later the neurologist Dr Fritz Barlen opened the “Sanatorium for Parkinson’s Disease Patients”. In July 1953, he obtained the license to convert the convalescent home into a private clinic for Parkinson’s disease patients. Following the death of Dr Barlen, Dr Wohlauf took over the management of the sanatorium which was renamed “Clinic Dr Wohlauf” in 1966. 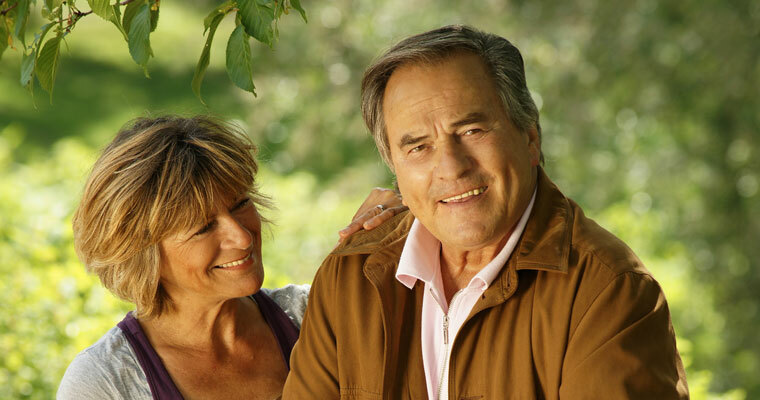 Under his management the clinic specialised in the treatment of multiple sclerosis and patients. 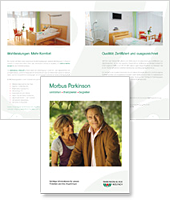 In 1989, with the inclusion of the hospital in the consumption plan of the federal state of Baden-Württemberg as a “General care hospital, service level 2”, the clinic exclusively specialised in the treatment of Parkinson’s disease and related disorders. In 1990, Dr Gerd A. Fuchs, specialist in neurology and psychiatry, succeeded Dr Wohlauf and became the medical director of the clinic. 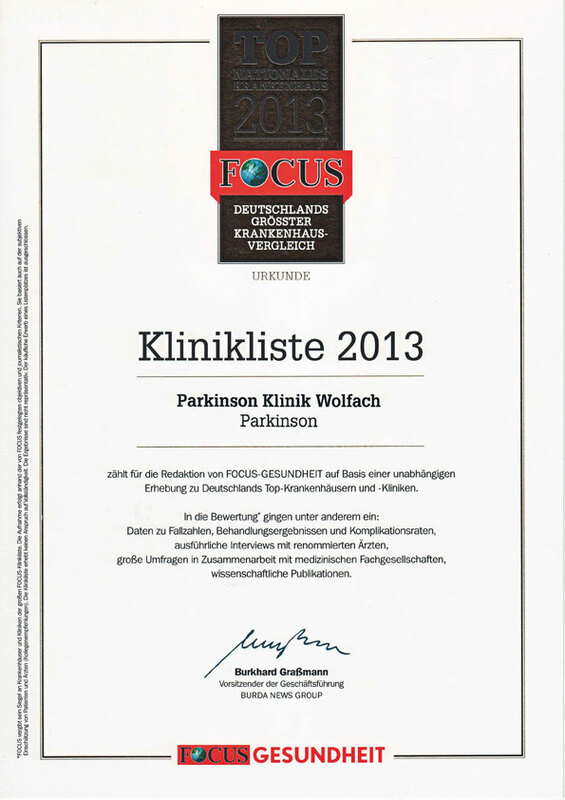 Two years later the hospital was renamed “Parkinson’s Disease Clinic Wolfach”. 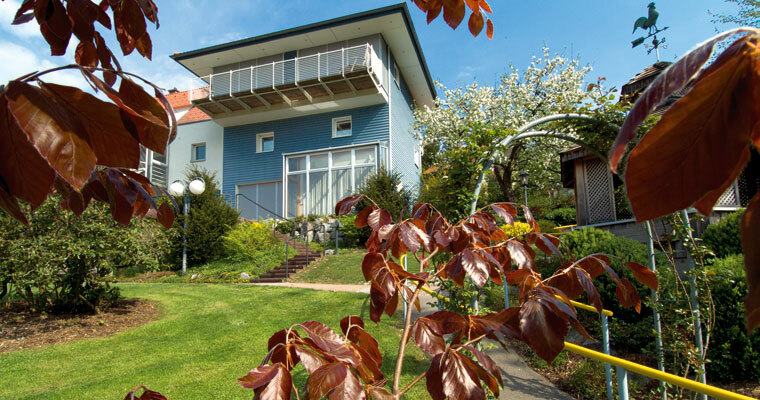 The managing partners Angela and Wolfgang Stegelitz renovated the old building and built the “Guest House in the Park” in 1996. 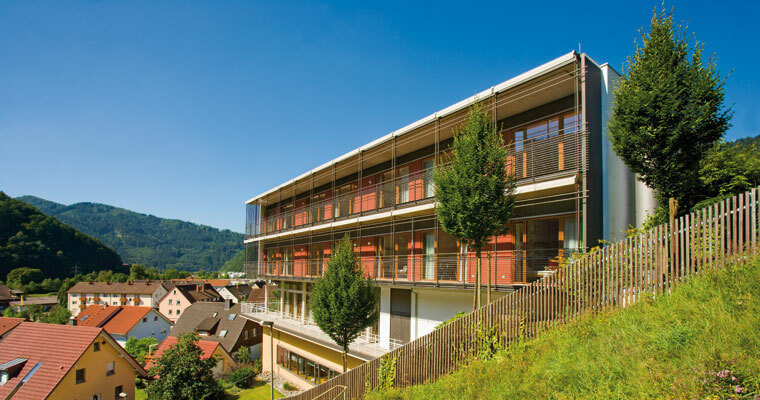 The married couple Stegelitz and the federal state of Baden-Württemberg invested around eight million euro in the annex, the so-called “Bettenhaus” (house of beds), which was opened in 2003. This increased the floor space of the clinic - without changing the bed capacity - from 1,700 to 3,200 square metres. 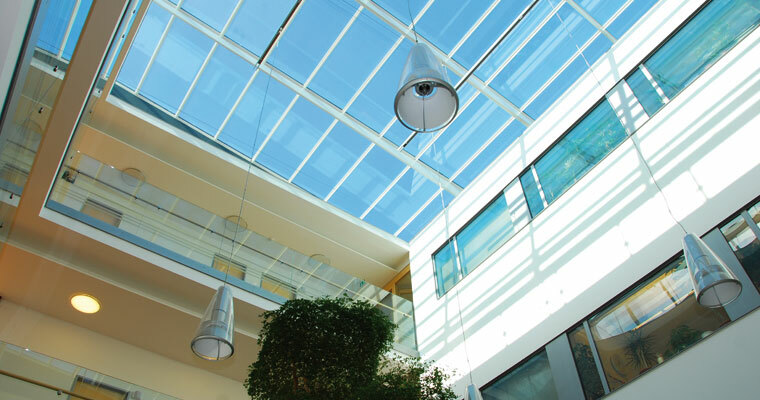 In addition to its functional character, it was important to the architect to maintain the personal atmosphere for which the Parkinson’s Disease Clinic Wolfach is known. Patients should feel comfortable as people and not be reduced to their illness.